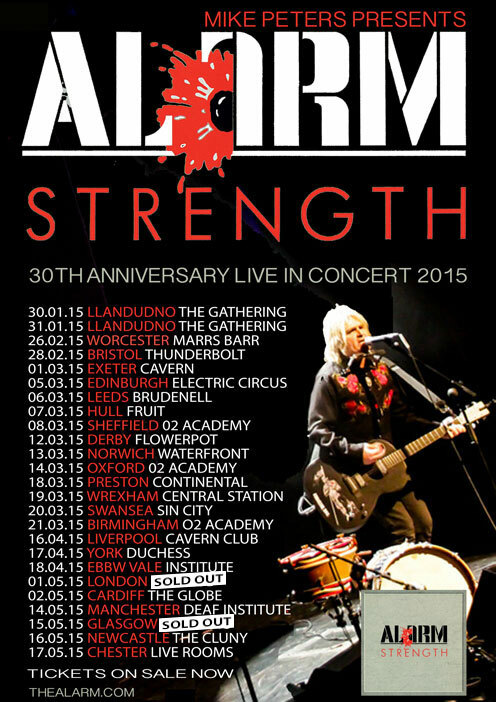 thealarm.com is pleased to announce that Mike Peters Strength 2015 concert at the landmark rock and roll venue King Tuts, Glasgow has completely sold out. Many shows all over the country are reported to be selling faster than ever before so thank you once again for showing such incredible support. Strength 2015 oncerts at Edinburgh, Liverpool, Newcastle, Manchester and Bristol are all very close to capacity so please do not leave it too late to book your tickets for Strength 2015. “Who will be the lifeblood coursing through my veins?”. 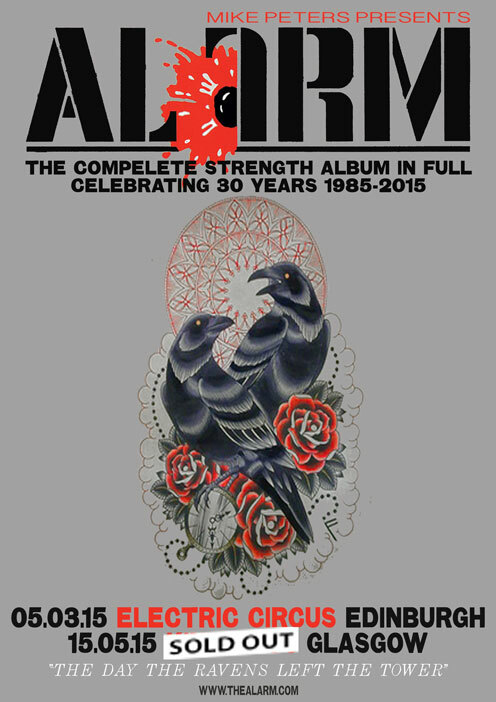 Tickets for the Mike Peters – 30th Anniversary Strength Tour 2015 are on sale now (see below for ticket links). 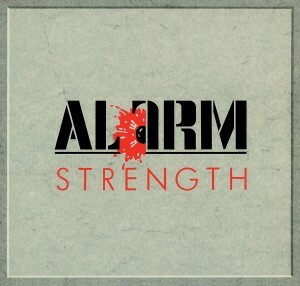 “Give Me Love, Give Me Hope, Give Me Strength” – The opening words from The Alarm’s 1985 UK / US Top 40 hit song ‘Strength’ which gave its name to the band’s career best selling album that will celebrate it’s 30th anniversary in 2015. 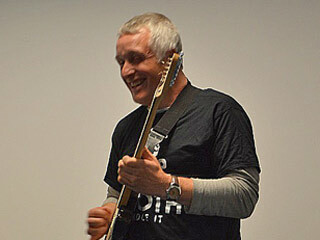 Following on from the hugely popular ‘Declaration Tour 2014’, Mike Peters one man band ‘Alarm’ show will present the follow up – ‘Strength’ in a similar contemporary style featuring performance, stories and images to honour the legacy the band’s music left on the decade it helped define and the continuing significance it holds for listeners who can still relate to it’s timeless themes of love, hope and strength. Packed with powerful yet personal songs like the autobiographical ‘Spirit Of ‘76’ and ‘Walk Forever By My Side’, ‘Strength’ went on to become The Alarm’s best selling album of the 1980’s charting in the Top 40 on both sides of the Atlantic. This is The Alarm record that brings together for the first time, the aforementioned themes of love, hope and strength now so synonymous with Mike Peters and his long running battle against cancer. 30 years on from the original release of ‘Strength’, Mike Peters still has so much to live for, After twenty years living with cancer his songs of love hope and strength have taken on greater meaning and the defiance of his words from the ‘Spirit Of ‘76’ ring truer than ever. “I will never give in until the day that I die. I’ll get myself some independence, carve out a future with my two bare hands”. 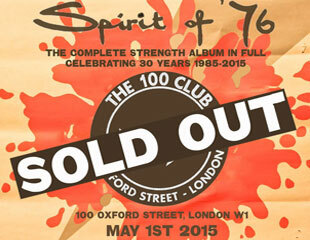 Strength 2015 – London Sold Out!